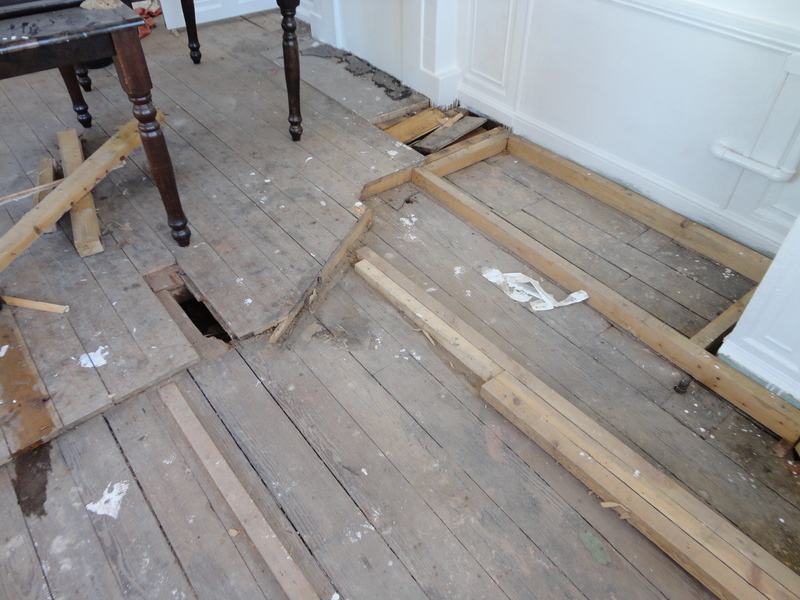 The delight and finding floor-boards under the layers of carpets and linoleum, became slightly less exciting when it emerged that the room had suffered some kind of leak in the past and exactly half the boards had been ripped up. Pulling up the ply-board on that side revealed that underneath, the truly original floor-boards from when the pub had been first built were residing. They were recessed, so that the whole room would be like walking over one of those clik-claks in a fun house. But lovely to think they were still there, spanning the length of the space, underneath the newer planks. It’s like seeing an older, sunken version of the room there at the moment. We’re going to replace the missing boards on the side where the leak had been, and cover the first-stage ones back up again ….because i’m not sure they will survive much longer if we don’t! The coming of the industrial revolution in Victorian times, meant that wallpaper became available to the general public. Printing from engraved rollers allowed for fine detail and shading that manufacturers had been unable to achieve with the old block printing. This, of course, paved the way for designers to create more complicated, and in some cases, more garish wallpapers. Personally I don’t think this example is garish, I think it’s rather lovely…. although a whole room of it may have been a bit much. 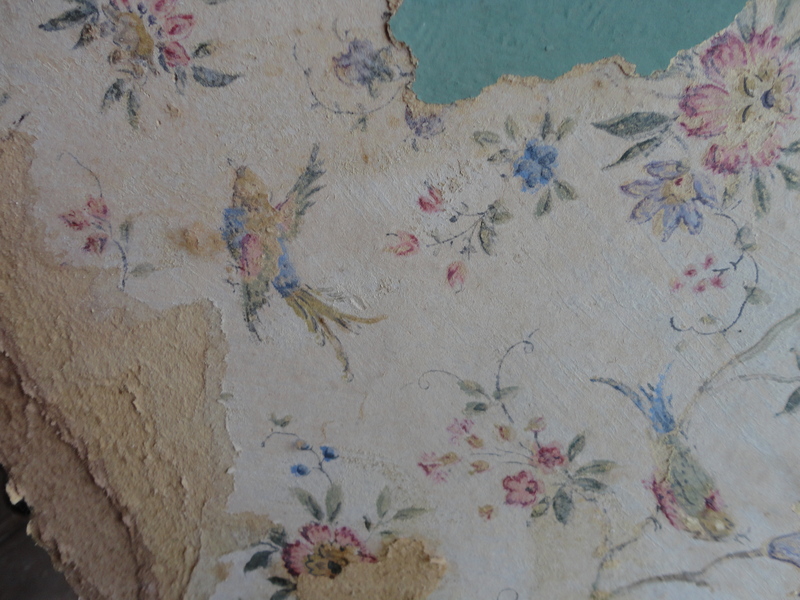 It certainly beats the layers of 1980’s woodchip paper which were masking it! 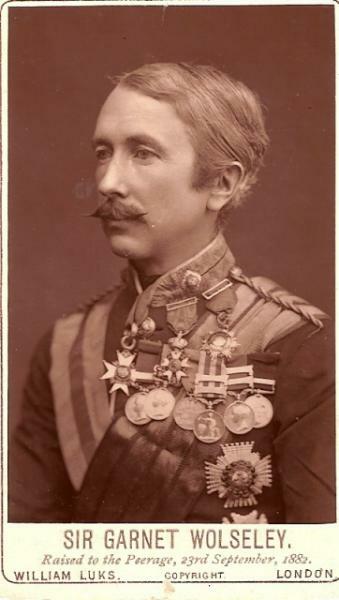 Garnet Joseph Wolseley (1833-1913), was the leading British general of the second half of the nineteenth century. Of Anglo-Irish descent, no Victorian was considered a greater hero for a longer period than he. He served in Burma, the Crimean War, the Indian Mutiny, China, Canada, Africa and co-ordinated the Nile Expedition against Mahdist Sudan in 1884-85. According to Disraeli, he was ‘our only general’. The pub was named The Sir Garnet Wolseley in 1874, the same year as had received honours for his brilliantly executed Ashanti campaign. To the public at this time, he epitomised the virtues they most admired: exceptional personal bravery and an unshakeable belief in the virtues of the British Empire. In recognition of his success, an expression arose: “all Sir Garnet” meaning; that everything is in good order. For me, i’d like to think we could continue with these imaginations of bravery and his belief in Britain (be it reality or myth). It’s a great starting point for looking at what we hope to sell, and the atmosphere we hope to create. I love the idea that to say ‘Sir Garnet’ as an expression means ‘all’s good’. It seems very fitting that to simply say the name of this pub, you can also be referring to a state of calm. There’s a positivity in it. Reading more about his life, it also seemed a nice (be it tenuous) connection that his only child was called Frances…. as is mine. 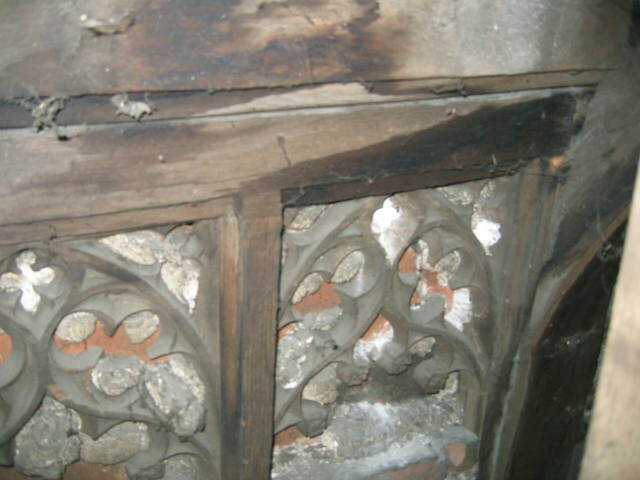 We discovered something after pulling out a 1970’s fireplace from one of the rooms upstairs. If you peeped in with a torch and bent down, you could just about make out some intricate stone arches. A visit from the conservation officer confirmed that it defined the walls of the old building….which acted as market hall in medieval times. Sadly, given their location, there is no way of exposing them, but we did find someone with a very small arm and a good camera flash who’s taken a picture to show you! 6 years ago I took over The Birdcage pub (what was then known as The Pottergate Tavern). 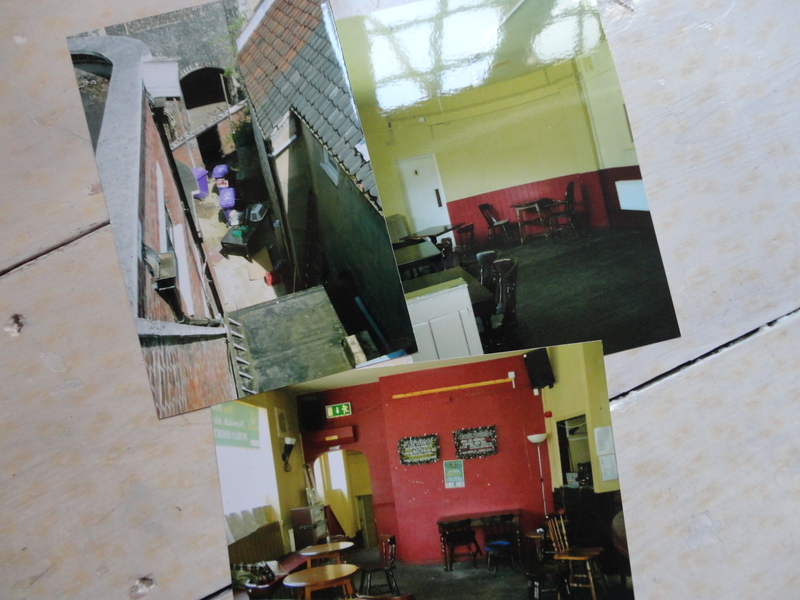 The pub had been neglected in recent years but I always felt, from the minute I walked in, that it wanted to be loved….and it wanted to have fun! Every wall we plastered and floor-board we replaced felt like the building was breathing again…..
6 years on and with a baby in tow, I find myself wandering past an abandoned pub in the centre of Norwich Market and like the mad woman I am, I can’t resist calling the agent to have a look round. Much to the horror of my partner, I decide there and then that The Sir Garnet pub has got to be a place worth nurturing…..